President Muhammadu Buhari on Tuesday explained why corrections had been made to the details of the 2016 budget as presented on December 22, 2015 before the National Assembly. His reasons were contained in a letter to the House of Representatives as read by the Speaker, Yakubu Dogara in Abuja. 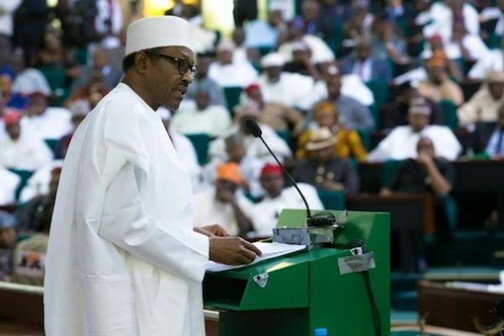 The President’s letter reads in part: “It will be recalled that on Tuesday, 22 December, 2015, I presented my 2016 budget proposals to the joint sitting of the National Assembly. “I submitted a draft bill accompanied by a schedule of details. “At the time of submission, we indicated that because the details had just been produced, we would have to check to ensure that there were no errors in the detailed breakdown contained in the schedule. “In this regard, please find attached the corrected version. “This is the version the National Assembly should work with as my 2016 budget estimates. Shortly before the letter was read, Rep. Leo Ogor (Delta-PDP), the Minority Leader of the House, raised a constitutional point of order citing Sections 81 and 84 of the 1999 Constitution (as amended). Ogor said that the provisions of the law did not give the president powers to amend budget, adding that such powers lie with the legislature. He consequently called on the House to disregard Buhari’s letter. However, Dogara rose in defence of the president submitting that there was nowhere in the letter that Buhari said the budget was amended. He said that it is only the president that has powers to make corrections to the budget if he observes any error. Dogara’s explanation, however, drew the ire of PDP lawmakers, who started chanting “no, no!” preventing the Speaker from making his point for some minutes.